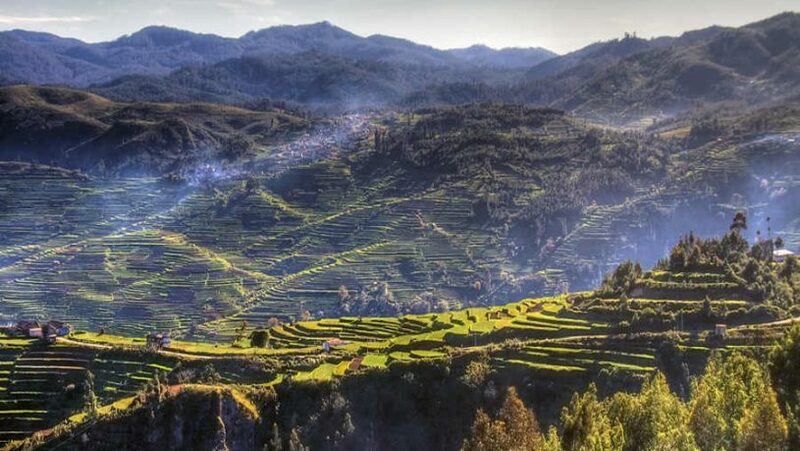 The agrarian eco-village of Kilivarai (or Kilavarai) and the scenic hill station of Kodaikanal (meaning ‘Gift of the forest’ in Tamil) in Tamil Nadu lie in a lush, verdant world where travelers can retreat into for a truly nature-inspired vacation. The unique shola forests make for a stunning backdrop for Kodaikanal, which is located around 120 km from Madurai. The history of Kodai, as the town is affectionately called, can be traced back to the Palaiyar tribes who began living in the region around the early 20th century. Modern Kodai came into being when the British diplomats and American missionaries established it as a place of refuge and retreat from the tropical diseases and high temperatures of the plains. 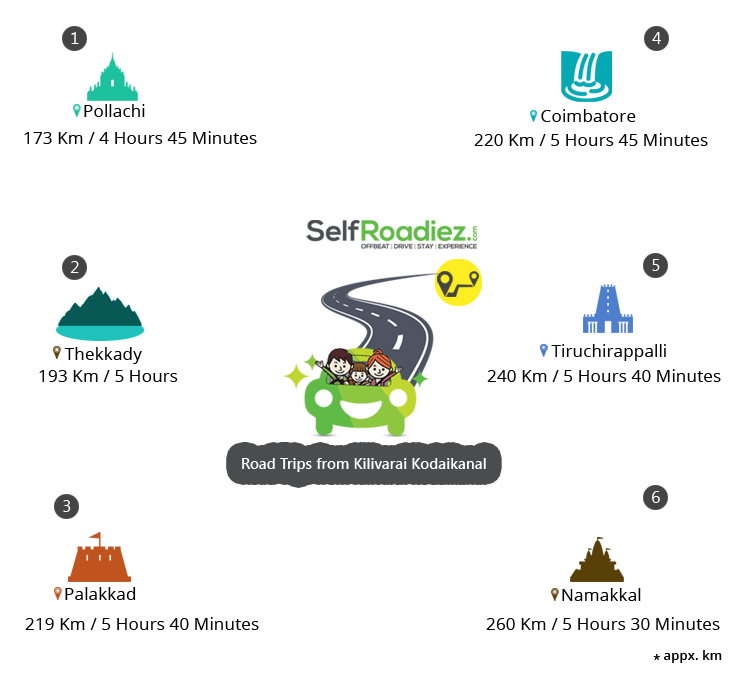 Consequently, Kodai was established as a premier hill station. Kodai is centered around the beautiful Kodaikanal lake and is surrounded by rhododendron, myrtle, mahogany and magnolia tree forests, making it a stunning getaway in the south. Around 45 km to the west of Kodaikanal, a dense forest road leads to the lush green, picture-perfect agrarian village of Kilavarai. Located in the Salem district of Tamil Nadu and close to the Tamil Nadu-Kerala border, the eco-friendly haven is known for its step agriculture, eucalyptus tree plantations, patches of shola forests and the undulating green grasslands. Summers in Kodaikanal see temperatures hovering between 20 and 35 degrees Celsius, and is perfect for enjoying adventure sports and trekking activities in the area. Monsoons in Kodaikanal last from June to September when the area shines in all shades of green. In winters, Kodai comes alive with its morning mists and evening chills and temperatures don’t cross 28 degrees Celsius. The Madurai Junction Railway Station which is around 119 km away is closest to Kodai and connects it to important cities such as Chennai, Rameshwaram, and Kanyakumari. The historic town of Pollachi is located 130 km northwest of Kodai and is an important industrial and commercial town in Tamil Nadu. During ancient times, the town was known as ‘Pozhil Vaichi’ (land of prosperity and natural wealth). Today, the Pollachi Sandhai (‘Pollachi Market’) is the most famous of its kind in the entire state, selling cattle, agricultural products, old iron, cattle and even coconuts, thus earning Pollachi the moniker of ‘Coconut City’. Interesting places to see include the famous 8th-century Subramanyar Temple, dams such as Meenkara, Azhiyar and Nirar, the Anaimalai Wildlife Sanctuary, the Azhiyar Siddashram, and even the Indira Gandhi National Park. The sleepy town of Thekkady lies snuggled in the Cardamom Hills of the Idukki district of Kerala, bordering Periyar National Park. The town and the surrounding areas are a haven for spice gardens, wildlife, fauna and jungle trails. Travelers to Thekkady can explore the Periyar National Park via treks and safaris, experience cultural performances at the Mudra Cultural Centre, cruise on the Periyar Lake, and visit the spice plantations. Palakkad is known as Kerala’s Rice Bowl due to the presence of rice and paddy fields in the region. Places to visit in Palakkad include the Palakkad fort, the Malampuzha Dam and Gardens, the Kara viewpoint, the rock garden, the Kalpathy Heritage temple, the Thiruvalathur Moorthy Temple, the Silent Valley National Park, the Pothundi dam and reservoir and the Parambikulam wildlife sanctuary. Tiruchirappalli, a.k.a. Tiruchi or Trichy, is a 2,200-year-old geographically, historically and culturally important town in Tamil Nadu. The town’s name is derived from the words ‘Tiru’ (address someone with respect) and ‘Chirapalli’ (sleep on the head), referencing the main deity in the Srirangam temple in town. Trichy has been ruled by some of the most powerful dynasties in Southern India including the Cholas, the Pandyas, the Pallavas, the Vijayanagar Empire, the Nayaka Kings, and the Carnatic state, before finally falling to the British. It is also home to some of the premier educational institutions in the country including the IIT, IIMT, and NITT. Places of interest in Trichy include the Rock Fort temple, the Ranganathaswamy temple, and the Kalanai Dam, among others. Coimbatore is a hustling bustling city known for its commerce and trade, as well as for its pleasant weather. Places to see include the Dhyanlinga and Marudamalai temples, Siruvani and Monkey waterfalls, Amaravathi Dam and the Gass Forest Museum. The historic 7th-century town of Namakkal derives its name from Namagiri, a single rock formation in the town’s center. Once hotly contested by the powerful Pallava and the Pandya dynasties of the south, the cultural town of Namakkal also fell to other powerful kingdoms such as the Hoysalas, Madurai Nayakas, Muslim Sultans of Bijapur, Mysore Kings, Marathas, Tipu Sultan, and then the British. Namakkal has many temples, the most famous being the Anjaneya and the Lakshmi Narasimhaswamy temples. Other places to see include Rock Fort, Botanical Garden, Selur viewpoint, and the Siddhar Caves, among others. Kodaikanal has many interesting places for travelers to explore. Thrill-seekers can explore the mysteries of the Guna Caves/Devil’s Kitchen. Nature aficionados can take a walk up the beautiful cobblestone thoroughfare of Coaker’s Walk, visit Bryant’s Park, Bear Shola Falls or enjoy cruising on Kodai and Berijam Lakes. Culture trippers can enjoy the beautiful sights of Lutheran Church, Christ the King Church, Shembaganur Museum and the Kodaikanal Observatory. Kilivarai mostly has homestays since it’s a very small, non-commercial village. Since the hill station of Kodai mostly serves honeymooners and travelers who come to spend on holidays, it has premiere and luxurious resorts and hotels complete with all amenities for the traveler. All the bungalows at this Eco-Farm Hotel in Kodaikanal have been made of locally-sourced materials like granite and wood, as well as reclaimed doors, windows, and pillars. The interiors feature elegant art deco and antique colonial furniture. The resort is situated on a sprawling property carpeted with velvety green grass overlooking verdant rolling hills and lakes. Accommodation for guests at the Serene Resort In Kodaikanal is categorized into two types of rooms, namely Double Room and Stream Side Room. The chefs at the multi-cuisine restaurant prepare a variety of dishes that will be a treat to your taste buds. Whether you prefer casual dining or a romantic candle-light dinner. The Kilavarai Trail, as the Kodaikanal-Munnar road around Kilavarai, is called, also houses the Gaur Vellaiyan waterfalls, around 2 km before you hit Kilavarai. Travelers are requested to be cautious on the perilous road and are advised to travel carefully. If one is looking to leave the mundane routine behind and have a relaxed holiday amidst nature, Kilivarai and Kodaikanal are some of the best places to vacation.